We wish to appoint an experienced leader to inspire and lead a year group. The role will be based on one site but will involve working cooperatively with a year leader in the same year group on the other site. We are looking for a highly motivated, enthusiastic and experienced HLTA to join our friendly and supportive team working 3 days per week (Tuesdays, Wednesdays, Thursdays) from 8.30 am until 4.30 pm to cover PPA, absence and other teaching duties. We would really love potential candidates to visit us. 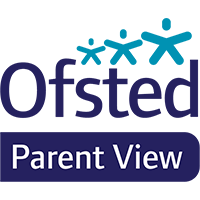 To make an appointment, to look around or to obtain an application pack, contact Sarah Shaw on 01273 295486 or email sarahshaw@hovejun.brighton-hove.sch.uk. We are looking to appoint a highly motivated and enthusiastic teachers to join our vibrant and supportive team. We have high expectations of our children who achieve high standards through consistently good teaching and an exciting, creative curriculum. We are looking for a permanent full-time Head of School at our Holland Road site. Be an effective and experienced senior leader with excellent management and organisational skills. Be able to lead transformational change, working at pace alongside governors and staff. Have sound knowledge of education best practice and be able to challenge and support to ensure high quality teaching and learning. Monitor progress and performance to ensure every child and every member of staff achieves their best. Be innovative, working in partnership with our community, with neighbouring schools as part of Sussex Coast Teaching School Alliance, Hove Cluster Partnership and with the Local Authority. Be committed to equality and able to tackle barriers to learning and well-being. Have a holistic focus on children’s well-being to ensure a safe and inspirational learning environment. We strongly encourage visits during the mornings of Thursday 25th April, Thursday 2nd and Tuesday 7th May. If you are unable to attend on these dates, we will try to arrange an alternative time. This can be arranged by contacting Charlotte Freeman, PA to Headteacher. Email address: charlottefreeman@hovejun.brighton-hove.sch.uk. Hove Junior School is committed to safeguarding and promoting the welfare of children and young people and expects all staff and volunteers to share this commitment. All new staff will be DBS (Disclosure Barring Service) checked at an advanced level.